Iris White Magic is a White cut flower. It is approx. 59cm and wholesaled in Batches of 50 stems. As a plant, iris is available in numerous varieties, including the beautiful bearded iris. Unfortunately, commercially available fresh cut iris is far more limited with only a handful of varieties grown. 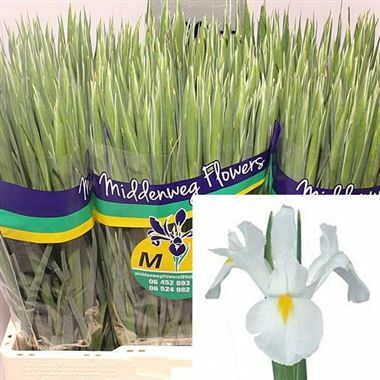 The upside is that fresh cut iris is now available all year round in one variety or another on the wholesale flower markets, (not just in spring time).